Leh, the capital of Ladakh is visited by hundred of thousands of people in summer, many of them as tourists and others for business and other personal work related purposes. Many come to Ladakh to work in the busy short summer season and they are rewarded well by good payment for their skilled and unskilled jobs like Cook, Waiters, Recptionists, Coffee Makers,etc and helpers, dish cleaners and room service and gate keepers are hotels, respectively. There are many VIP visitors to Ladakh too in the short pleasant summer months, including ministers, busines tycoons for corporate meetings and leisure holidays. There are also visits by many spiritual teachers, leaders and preachers. 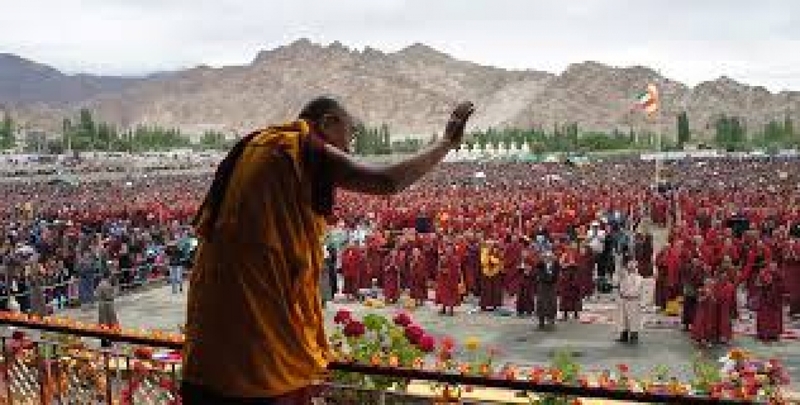 Above all, His Holiness Dalai Lama also visits Ladakh almost every year and blesses the population of Ladakh. His visit is much awaited by the faithful buddhist devotees and considered one of the biggest blessings to receive teachings from him. Thousands of flowers follow him to Ladakh for his teachings. His Teachings are attended by people of all faiths and simaltenious translation of his teachings are organized at all his teaching places including the chinese language. 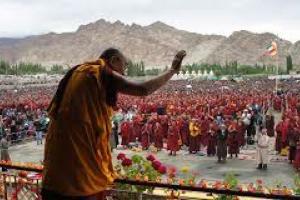 This year His Holiness Dalai Lama, on the request of buddhist people Ladakh represented by Ladakh Buddhist Association, Leh has very graciously accepted to visit Ladakh for special summer teaching program and for rest in Ladakh. His Holiness is expected to visit Nubra Valley for teaching program this year.